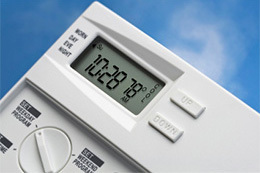 When Should You Have Your AC Repaired? We always need our central air conditioning units to function at their best and continue to do so forever. However, that’s not very realistic considering that these systems are made of many intricate parts that usually function 24/7 to regulate the temperature inside your home, even when the temperature outside is constantly fluctuating. After so much usage and hard work, AC units are prone to being clogged up, breaking, or needing a bit of maintenance to boost its efficiency. Older units that haven’t been maintained in a while are known to start raising your energy bills and requiring more work to get things going, which is why you should have a Charlotte AC repair company come out from time to time to check on your unit and make sure that it’s functioning properly. Check if the coils are clogged and stuffed. The more clogged up that they are, the less efficient your unit will be, and the harder it will need to work. Usually you can clean the filter out yourself. It’s a matter of removing dust and dirt so that ice doesn’t eventually form. This part will usually need to be replaced by a Charlotte AC repair company after a few years. It needs to be working at a normal pace. If it’s turning slowly, has ice on it, or looks damaged, it’s time to replace it.